I have a broken tooth and eating really did hurt. Thankfully it has been temporarily fixed. 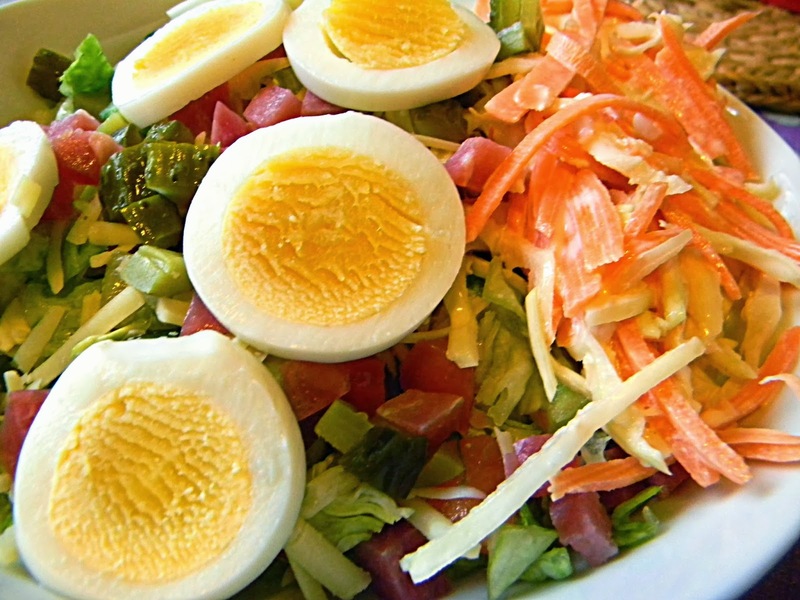 Chopped salad: lettuce, tomato, cucumber, cheese, gherkin, ham cubes, home-made coleslaw and a boiled egg. 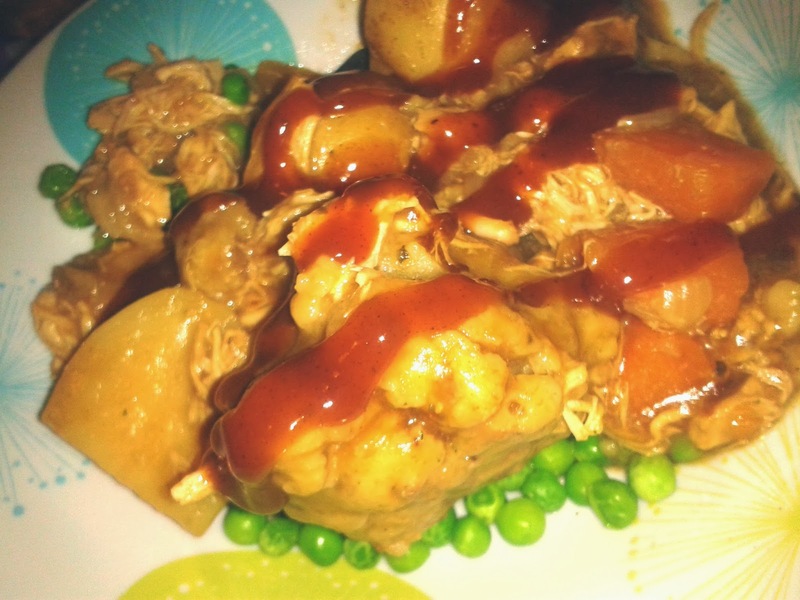 Chicken Casserole with sage and onion dumplings.